In recent years, the development of plastic Injection Mold Tooling China industry in china is developing very quickly, followed by the market competition which is more and more fierce, especially many foreign mold manufacturers have entered into Chinese market after China joined the WTO. Although the growth of exporting the molds and molding parts is larger than importing in recent years, but the absolute increasing value of exporting is still less than importing, which makes the trade deficit of mold industry increased year by year. Finally, the situation has been improved till 2006 and the deficit has declined slightly. There are two main factors for the increase of the molding trade deficit: first, with the high-speed development of national economy, especially the strong tooling demand generated by the quick development of the automobile industry, the domestic molding resource can't meet the need of the internal market, even some of the high-end molds can’t be produced in China, therefore the imported amount is rising; second, it’s related to Chinese current customs tariff policy and project approval system. Currently, same as other mechanical and electrical products, the export tax rebate rate is only 13%, while not up to 17%. According to plastic Injection Mold Tooling China industry development prospect report, it’s very important to stand out from the fierce competition and vigorously develop the international market. The best way is to reduce the cost and time of tooling building, without declining the quality. To develop the mold standard parts and produce them as specialized & volume is very significant, which can save the time of the tooling design & manufacturing, reduce the tooling manufacturing cost and improve the tooling quality, etc. At Team Rapid Tooling China, we have standardized not only for the mold parts & inserts, but also for the mold bases which called as MUD(Mater Unit Dies) system. With series of standard mold base and steel blocks stocked in factory as well as China Rapid Prototyping services, TEAM Rapid can help you to save lots times and cost, from low volume manufacturing to mass production. 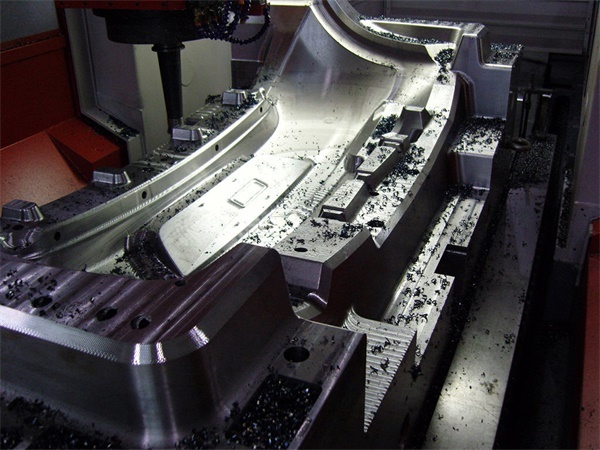 What Is the Different between CNC Turning and CNC Milling?